Directions: Salem Rd. To South To Pringle To Barbara D.
DREAMING of a gorgeous modern kitchen in a home with an open floor plan that is SPACIOUS, big and BRIGHT! A "WOW factor" kitchen runs along the back of the house and spans the space to the dining area. L-shape peninsula separates the space and adds seating. Pantry wall adds storage cabinets and keeps the refrigerator tucked out of the way. IMAGINE the possibilities w/2 living spaces, 2nd liv rm sits off kitchen w/fireplace, great SPACE for entertaining. Recessed throughout and sparkling hardwood on both levels. The 1st flr bath has updated vanity/granite, 3/4 shower and stackable laundry hook-ups, perfect spot for laundry day! Upstairs you'll find 4 LARGE corner bedrooms w/double closets (master is walk-in), a beautiful open stairwell that adds light, open hallway at the top and updated full bath with tiled tub/shower combo, large vanity, and tile. It doesn't get much better than this! 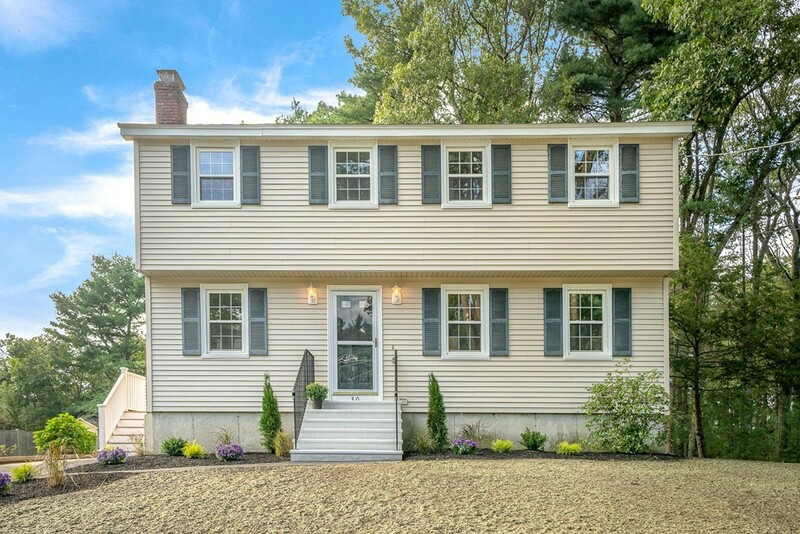 Situated in a private S. Tewksbury neighborhood on an acre of land and minutes to Rt. 93.